Svoemesto need no introduction if you’re into the high-end vape scene. Their original Kayfun is over five years old now but is still considered one of the very best MTL RTAs ever made. Their products are designed in Russia and manufactured in Germany, which has helped them build a reputation for matchless engineering and precision, while justifying a higher than usual asking price. 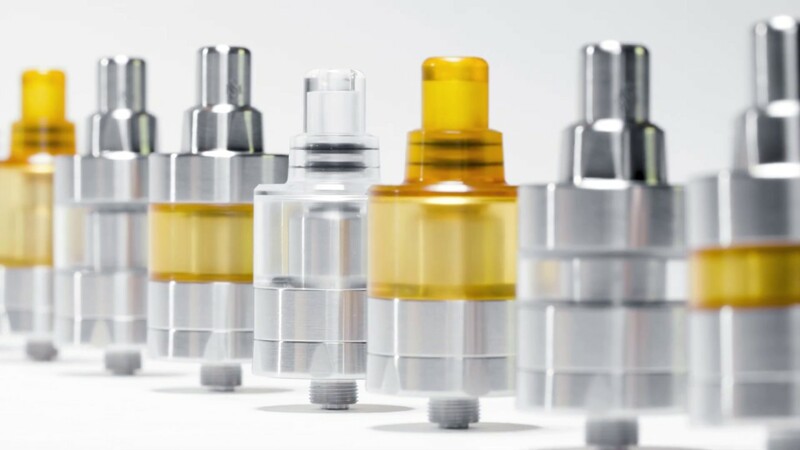 The Lite series is an offshoot of the Kayfun line-up, focused on simpler designs and lower price tags. The 2019 edition continues this tradition and is a far cry from the highly intricate Kayfun Prime and Kayfun V5, both released not too long ago. The fit, finish and build quality are remarkable and the matching is flawless. This makes the device feel like a work of art, which many have come to expect from Svoemesto. Some users have reported minor issues with the base of the device being too tight, but I did not experience this at all on either the 22mm or 24mm atomisers that I purchased. The airflow design is rather unique, too. There’s one moderately large inlet on the bottom of the tank, but this is adjusted with a flathead screw seated within the 510 connection. At first, I was sceptical of this, since it’s less convenient than a standard ring, but in practice most people will set the airflow to their preference and then leave it there. This design results in some of the smoothest airflow I’ve experienced, completely eliminating the turbulence that comes with a more traditional control ring. The build deck is a standard Kayfun affair. A screw on either side of the deck is used to secure your coil leads, and although this is a rather old design, it works brilliantly for the small coils you will be using with this tank. Svoemesto have updated the wicking ports which now allow for more cotton, resulting in a simpler and more reliable wicking action that hasn’t missed a single beat for me. Make sure your cotton reaches all the way to the bottom of the wicking port, otherwise you may experience some temporary flooding after a re-fill. Historically, people have talked about “Kayfun flavour” and have used the original as a measuring stick for other MTL tanks. The Kayfun Lite 2019 delivers in spades. I have been vaping more and more MTL RTAs in the last year or so, since nicotine salts became widely available, and this is the most flavoursome MTL vape I’ve experienced. This flavour output, combined with the silky smooth airflow, makes for a truly outstanding vape that will be very difficult to top. While I’ve had no issues with the bottom filling it, but it is undeniably less convenient than top fill, which has become a standard. This was supposedly done to keep the tank short and mitigate flooding during refills, so I can understand the omission, but for some people that will be an annoyance. In summary, the Kayfun Lite 2019 is an exceptional tank. It’s beautifully-built and absolutely lives up to it’s predecessors when it comes to performance. With an RRP of £69.95, it’s a tad less expensive than other Kayfun offerings, but of course still double the price of your average RTA. If you have the money, though, and you don’t mind filling from the bottom, this is a worthy contender for MTL frontrunner.